Patient-centred care (PCC) is rapidly adopting a central position in discussions on the quality of healthcare, with patient-centredness deemed essential to transforming the healthcare system. PCC speaks to the quality of patient-provider relationships and has been defined as an approach to providing care that is respectful of and responsive to individual patient preferences, needs, and values, while ensuring that patient values guide all clinical decisions. However its place within pharmacy practice is unclear and is as yet undefined, particularly in relation to pharmaceutical care. Through my personal illness narrative, I briefly explore the visibility and evidence of PCC in the pharmacy literature as well as from personal experience of pharmacy care, and find it lacking. I conclude that an integrated, seamless understanding of PCC and the use of shared language within the health professions is essential in successful teamwork with both the patient and with other health professions. 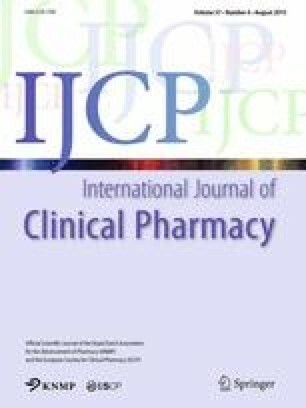 The approach taken in this paper to explore concepts and ideas relating to patients and the pharmacy profession were presented at the 2014 annual conferences of both the South African Association of Hospital and Institutional Pharmacists, and the Pharmaceutical Society of South Africa. A conference paper was subsequently published in the South African Pharmaceutical Journal and formed the basis of this adapted commentary. Wiedenmayer K, Summers RS, Mackie CA, Gous AGS, Everard M. Developing pharmacy practice: a focus on patient care. Handbook—2006. WHO and FIP http://www.who.int/medicines/publications/WHO_PSM_PAR_2006.5.pdf.